Search Engine Optimisation (SEO) is a vital part of any digital marketing strategy. The basic purpose of SEO is to improve a site’s ranking in online searches through engines like Google and Bing, exposing the site to a wider audience and thus increasing profits and brand awareness. Many studies show that over 60% of all clicks from online searches are directed at the first 3 results on a page, with sites ranked lower down seeing far less traffic. In fact, around 95% of online searches end on the first page of results. These figures illustrate exactly how important it is for you to improve your ranking for searches related to your website- if you’re not at the top, you’re missing out on a huge number of potential customers. At eTailThis, we’re experts at improving search rankings, with over 10 years of experience in digital marketing. As certified Google Partners, you can trust eTailThis to improve your site’s performance, moving you up the rankings and bringing your site to a larger audience, all searching the services and products that you offer. 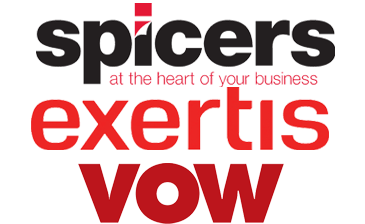 Across this page, we’ve put together some information about the many different sides of Search Engine Optimisation to give you an idea of the services we offer. We’ll work with you to design a custom digital marketing package that helps you achieve the goals you want for your business. The first step to improving a site’s performance is optimising the site itself. Search engines like Google and Bing prefer sites with simple navigation and properly contextualised pages making good use of HTML features like H tags, meta descriptions and internal links. At eTailThis we can review your website and improve it to maximise your search engine performance. Bringing your website up the search rankings by boosting domain authority is an extensive process. In order to completely optimise a site’s performance, you need to consider a wide range of aspects, from link building itself to on- page optimisation and more. Here at eTailThis, we’re certified experts in improving site performance, bringing your business more customers and an improved return on investment. Search engines decide which pages to rank for any given search term by taking into account hundreds of different factors, and having a full understanding of the most important of these factors is necessary to get your site to the top of the rankings for your industry. Whatever the size of your company, Search Engine Optimisation is a vital step to improve your sales. There are two basic forms of SEO, with both on-page and off-page techniques being used to maximise the visibility and performance of your business. 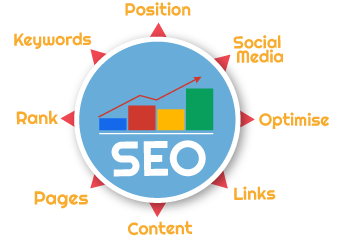 On-page SEO is split into two major areas. At eTailThis we always start off by reviewing and rebuilding sites to optimise their performance for both search engine readability and visitor satisfaction. After that, we can create high quality custom content that improves site rankings while appealing to readers, whatever sector of the market you’re working in. By setting up well- contextualised links to your site from trustworthy sites, you can improve your site’s authority, which leads to improved search listings. Link building is a difficult strategy to perfect, but at eTailThis we’ll create a strategy which brings in the audience you want. By improving your search rankings, you’ll see a huge improvement in visitors, and with a well designed site, you’ll be able to convert those extra visitors into customers and improved profits. At eTailThis we understand exactly how to optimise websites. With our digital marketing solutions you’ll improve your company’s sales and visibility. Read on to find out some more details about how Search Engine Optimisation helps your company. eTailThis can bring your site to the top of search listings for your field. With an SEO strategy from eTailThis you’ll see a huge improvement in profits. We’ll build you a digital marketing strategy that achieves exactly what you want. eTailThis can rebuild your site to optimise search engine results. eTailThis can create a high quality link building strategy to boost your performance. By improving your SEO with eTailThis, you’ll bring in a huge number of customers. 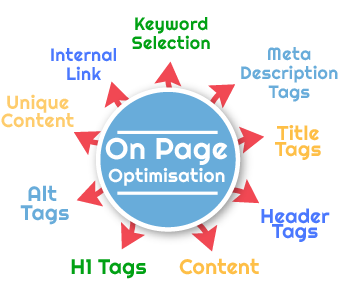 Creating a successful Search Engine Optimisation strategy starts with the structure of your website itself. A well- designed website is easy to navigate, with no broken internal links, an informative set of H- tags on every page, optimised URL structure and more. If you haven’t studied how SEO works, these phrases can seem meaningless, but they’re vital when it comes to getting your site the search ranking position it deserves. While the technical side of SEO can be hard to understand, when we at eTailThis redesign your site, we’ll explain exactly what we’re doing and how it will positively affect your business. We will transform your website into a modern, optimised form, improving both your search rankings and customer satisfaction. People don’t like using outdated sites, so by upgrading your site with eTailThis, you’ll see an increase in completed transactions as well as customer satisfaction. When search engines automatically look through and index a site, they want to find out what every page is about, and understand how it relates to the overall point of your site. Using meta descriptions and H tags lets you explain every page, and we can optimise these features to make sure that your site ranks for the search terms that you want to target. Maximise your visibility and profits with a Search Engine Optimisation strategy from eTailThis. By having a well-designed website, you’ll immediately improve search rankings. eTailThis are experienced experts at improving Search Engine Optimisation. 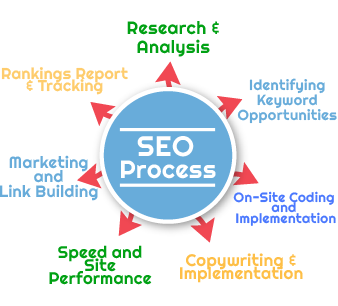 SEO lets you show your site’s message, improving your success in relevant searches. eTailThis creates modern, responsive websites to improve customer satisfaction and SEO. Using clear, readable URLs and informative tags makes your message clear. Stores built with our eCommerce platform have an easy journey from search to purchase. Content creation is an important part of Search Engine Optimisation, with well-written and optimised content letting you interest potential customers while reinforcing your site’s message to improve your search engine rankings. eTailThis has an expert team of content creators, who can create optimised content that suits the message of your site to improve search engine results and keep potential customers interested in making a purchase. We’ve created content for businesses working in practically every sector of the market, from hotel chains to construction equipment trackers, so we can design custom content for your business, no matter what services you offer. We’ll work with you to create a content strategy that suits your business goals and message, improving rankings and bringing in more potential customers. Whether you’re looking for a basic rewrite of your site’s existing content, an expanded website, pieces for social media and a blog or anything else, we at eTailThis will create high quality content that strengthens your brand. Pieces written by the team at eTailThis show exactly what your site is about. We’ll consult with you to create a content strategy that fits your goals. 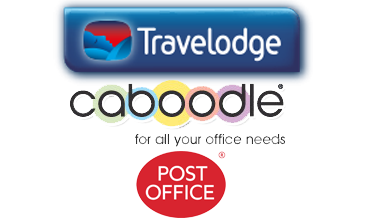 We can create content for companies across every sector of the market. We can build a strategy covering every kind of content that you want. Our content is designed to improve search rankings with contextualised keywords. We’ll design consistent content that perfectly suits your brand image. Link building is a frequently misunderstood side of Search Engine Optimisation, with the potential to damage your site’s performance if it’s done incorrectly. eTailThis is the best choice when it comes to creating an effective link building strategy, as our expert team knows exactly how to improve your website’s ranking and reputation in the marketplace. As a first step, our team at eTailThis perform a backlink review, finding out which sites are currently linking to your pages. Simply having a site linking to your site isn’t necessarily a good thing, with many links essentially being toxic, damaging your performance in the search listings. We’ll fix as many of these links as possible and entirely remove others to give you a strong base from which we can develop a link building strategy to take your business to the top of the market. We search for and select the most reputable and relevant sites related to your market sector, and then create high quality content which contextualises the link to your site, bringing in a new audience while driving up your performance in search rankings. Using a mix of sponsored posts and free posts on other websites, we’ll improve your company’s rankings, visibility and profits. eTailThis can create link building strategies which are sure to benefit you. 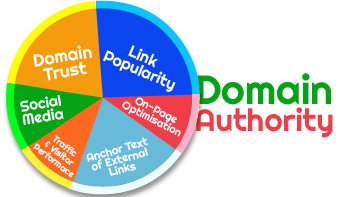 We make sure that our link building strategies help you without any risk. An eTailThis link building strategy will bring your site up the search rankings. Starting out, we look at all the links to your site, removing any damaging ones. We look for the best, most reputable sites in your market area. We create quality content for other sites to make your links more effective.